Fall is the time of the Pumpkin Spice Latte, we all admit she is the reigning queen of autumn mornings and lazily meandering a corn maze. But what are we supposed to drink when the sun goes down? 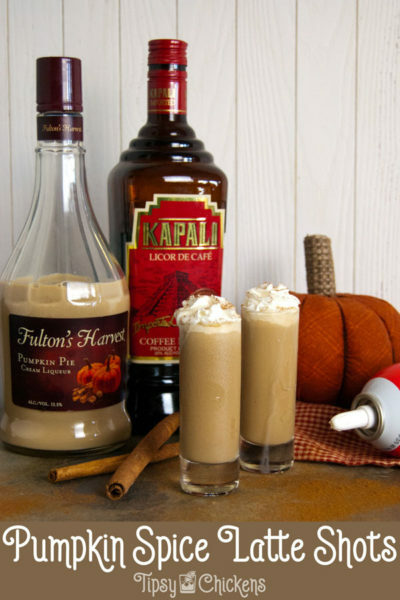 We can’t possibly be expected to stop drinking pumpkin flavored things right?! I personally consider decaf coffee an insult so decaf PSL’s are out. Don’t worry! I got you covered. 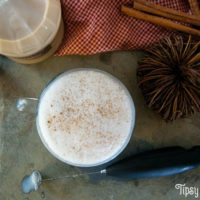 Enter stage right: the Spiked Pumpkin Steamer. If you’ve spend much time in quaint little coffee houses you’re probably familiar with the steamer, or at least you’ve noticed it on the menu and wondered why there was a boat listed next to hot chai. A steamer is basically hot, frothy milk with flavoring. It sounds pretty gross but I promise it’s delightful. 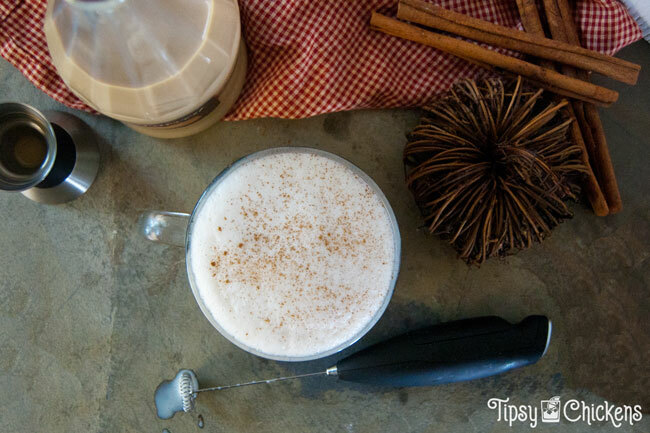 The milk gets thick and creamy, almost like eggnog. 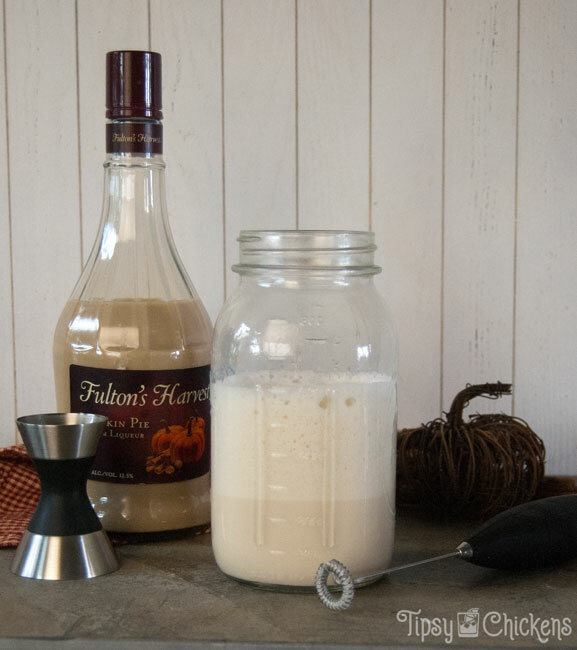 You can use just about anything to flavor them, from flavored syrups to, you guess it, booze. 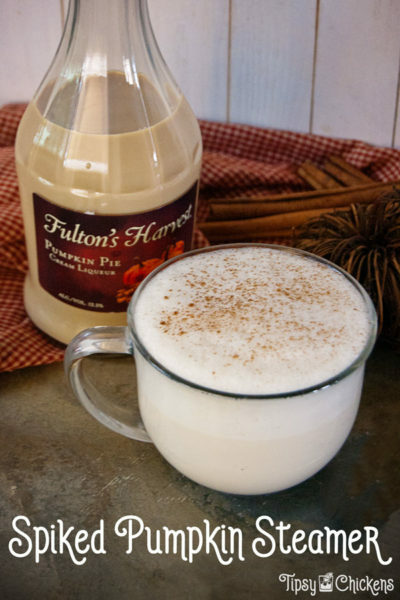 In honor of autumn I’ve used Fulton’s Harvest Pumpkin Pie Liqueur. They have the pumpkin flavor and an apple version. I was first introduced to them by my Mom last year, both are her autumn coffee creamer of choice. In a coffee house they’d use steam to froth the milk, hence the name. But I’m a normal human and I don’t have access to that. So instead we use a hand held frother. I grabbed mine on Amazon, it’s a little battery powered gadget. It came with a stand so I leave it on the counter tucked next to the microwave when I’m not using it. The milk will just about double in size when you froth it so make sure you leave enough room or it’s going all over the counter. I use a quart sized mason jar for one cup of milk. I heat my milk in the microwave because I’m lazy and my microwave has a 30 second button but you can do it on the stove if you want. Watch out that you don’t scorch the milk. 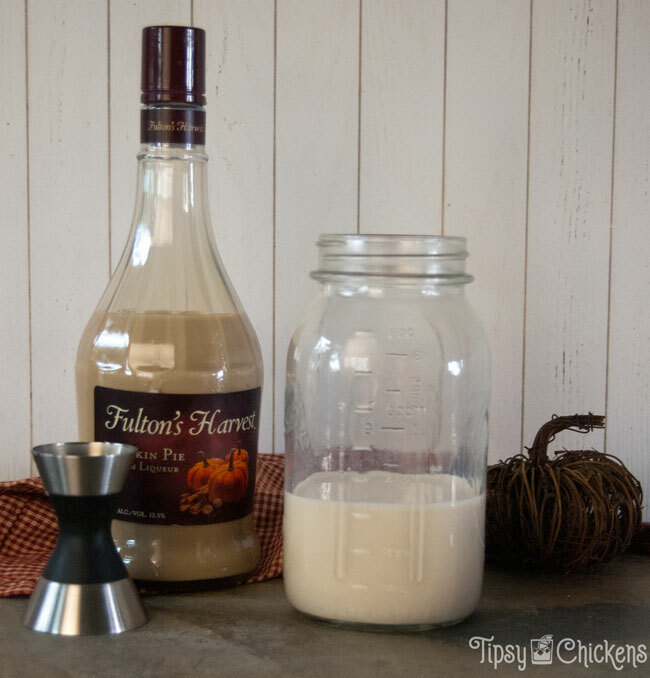 After you heat the milk for a minute or 1:30 add in the pumpkin creme liqueur and start frothing. You’ll need to experiment with your particular frother but I have the best luck if I start at the top and gradually move down, tilting the jar a bit to the side. 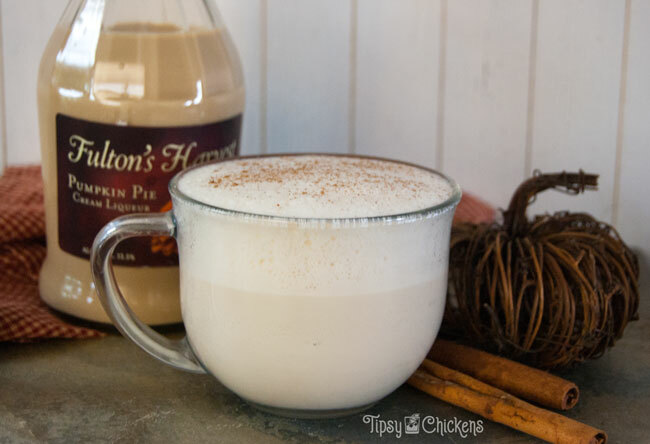 Pour the hot frothed milk and liqueur into a mug and sprinkle with some cinnamon or pumpkin pie spice if you want to get fancy. The froth is pretty resilient but it will deflate over time. Kick back with your spiked pumpkin steamer and relax with a good book or your latest Netflix binge. Don’t forget to PIN this to your Pumpkin or Autumn boards!